Cinematographer turned director Vijay Milton's debut film Goli Soda was a blockbuster, and it garnered rave reviews from critics for its unique story line. The Latest news is that, the film has been selected for Busan Film Festival in South Korea, and is all set to be screened there on October 2. Director Vijay Milton said, "I am happy about it, as it's a very prestigious film festival. I must first thank Vikram for suppoting me in all way. 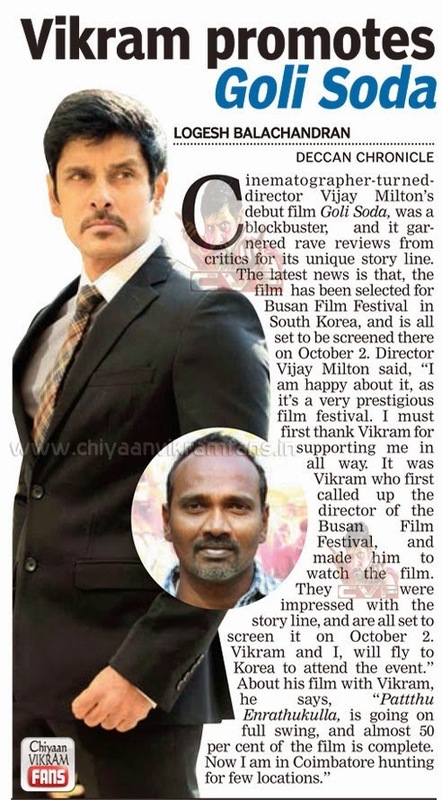 It was Vikram who first called up director of the Busan Film Festival, and made him to watch the Film. They were impressed with the story line, and are all set to screen it on October 2. Vikram and I, will fly tp Korea to attend the event." About his film with Vikram, he says, " Pattthu Enrathukulla, is going on full swing, and almost 50 per cent of the film is complete. 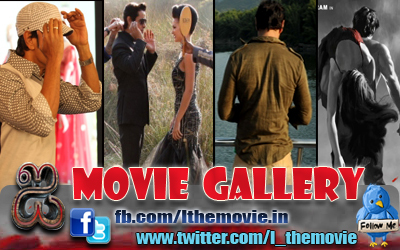 Now I am in Coimbatore hunting for few locations."